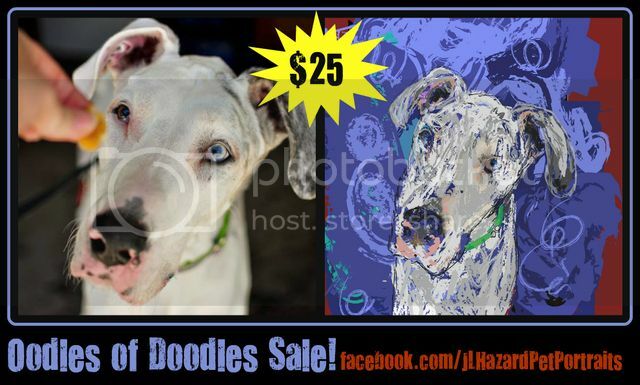 My annoyingly talented significant other is having a sale on his doodle style pet portraits. Thought I would share! *Background of his choice, but you can mention favorite colors. *Intricate collar designs will be "dumbed down" if featured in the sketch, otherwise he will spend more time sketching collars than dogs, lol. *Completed sketch will be sent via High Res digital file through email, you can use the image as you wish once you receive it - you can have it printed at any photo lab and frame it, use it on Facebook, on your website, etc. Not sure how many of these he'll be taking, but I'll add edit this post when he's full. 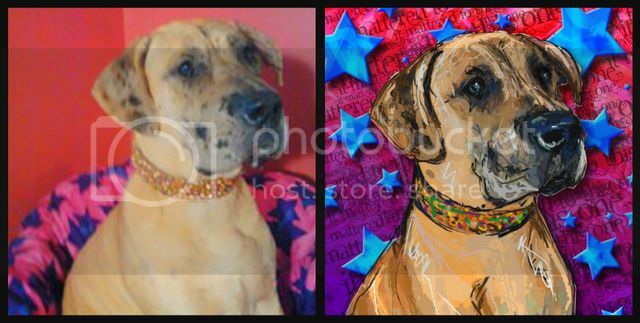 You can message me for more information/to order through my Facebook account, his Pet Portraits page or PM here. He has about 10 spots left as of this posting and then he will stop the sale so he can complete orders, so don't miss out!